This method is a bit different from the “d-grip” method that is shown here. I am still partial to the “d-grip” for the single operator deploying of tube delivery. 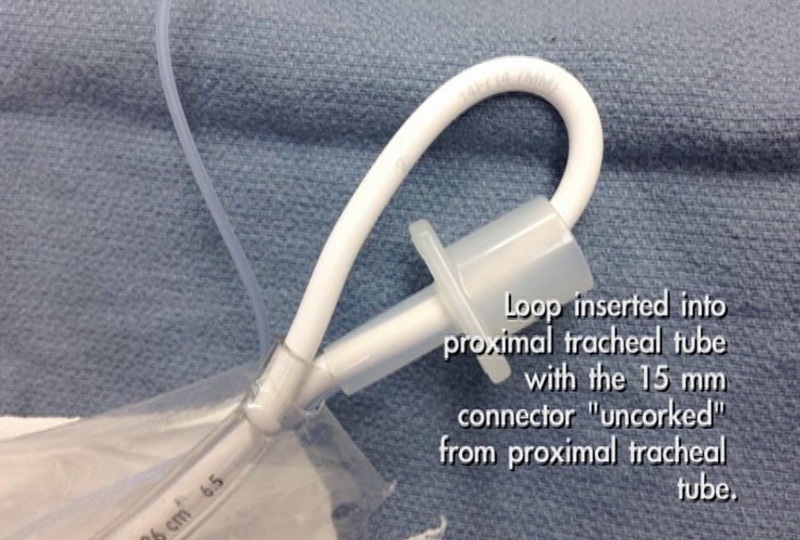 It is a bit simpler and does not require the intubator to shift hands to the proximal end of the endotracheal tube to release the “d-loop” and reinsert the endotracheal tube connector end. 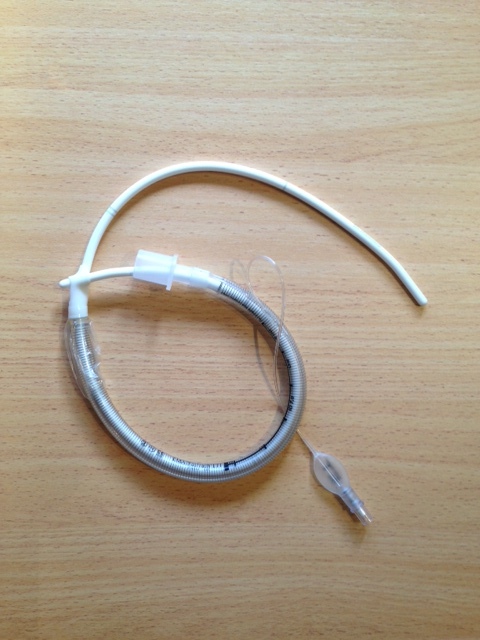 Both techniques however are slick ways of having your tube and bougie preloaded in one package for rapid tube delivery and depends on your preference, what you practice and the team around you. 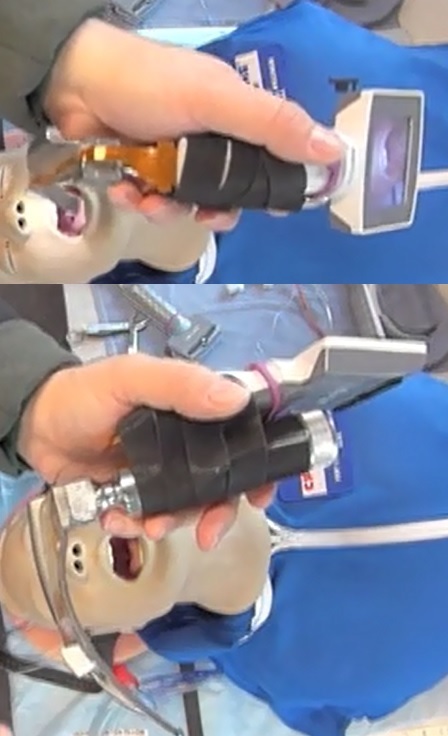 Very interesting too is the “MacGyver” King-Vision enabled Mac 4 laryngoscope! Go Jim!!!!! See you at SMACC Chicago! What the? Nice innovation…but on trial I managed to PING my ET connector across the room when trying the D loop as opposed to the more familiar Frova/Kiwi/D grip technique of preloading the bougie. Also a little confused – you’ve glued a Mac 4 blade to a KingVision VL? How does that work again? I understand Tim–with the bougie through the connector, just lightly remove it and the part won’t go flying. The Mac 4 blade was an old left over from when my department transitioned from the old battery handle systems (light bulb on blade) to the Heine-style fiberoptic blade DL systems. With extra King blades to spare, I disassembled one to examine the video module, then decided to glue it to the Mac 4 blade. I created my own metal DL-VL system for Sim purposes. Excellent idea that I will share with some of our single responders here in Calgary. We have Tems and CBRN Medics that when they are not working in their specialty they may have to intubate by themselves. 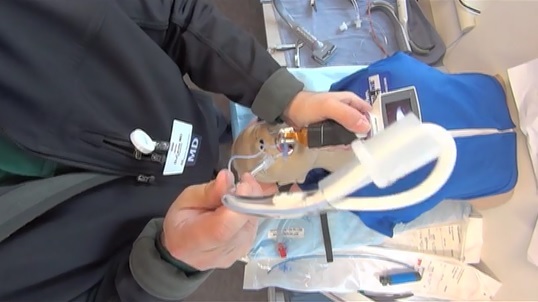 This alows the use of a Bougie and Etube at the same time and for us EMS types a novel approach. 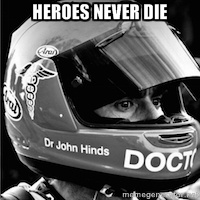 Thanks Doc Decanto.